NBC 7 Liberty Zabala reports. A major project to restore and protect the San Elijo Lagoon in Encinitas from sea-level rise gets underway Wednesday. San Diego Association of Governments (SANDAG) and Caltrans will dredge up years-worth of sediment build up to make the channels larger and improve water flow. Workers will also sculpt the floor of the lagoon to better suit plants and animals. 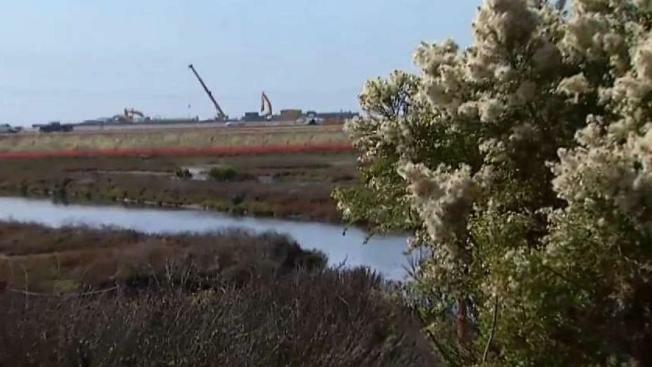 "It's about getting water and improving the water quality within the lagoon," said Doug Gibson, executive director of San Elijo Lagoon Conservancy. "So water will come in and out of the lagoon more effectively, reach further back, which really helps set this up for sea level rise and climate change." Two bridges will also be replaced. The project, which is part of the first phase of the North Coast Corridor Program, should be done in early 2021. Residents can stay connected to the progress of the project through the SANDAG website Keep San Diego Moving.